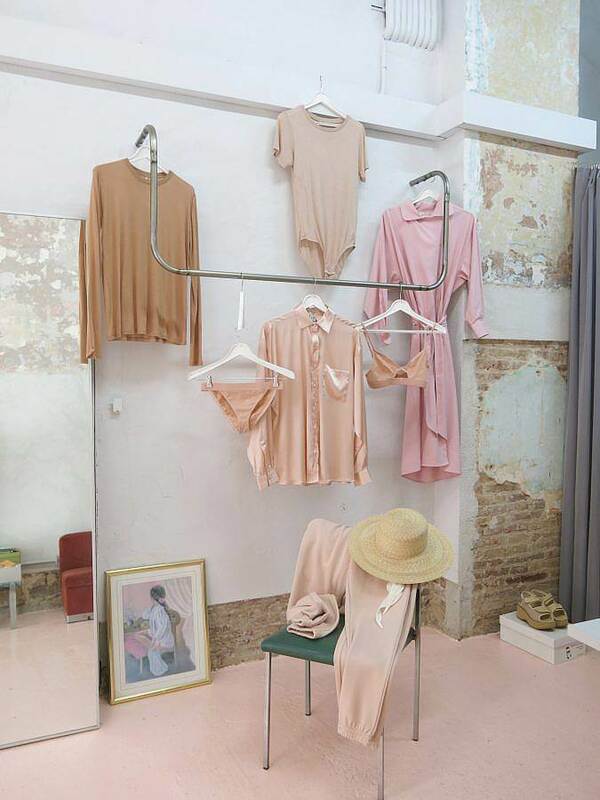 Emma Pardos is the owner and curator of her epynomous Barcelona store. Having gone to school for interior design, she began making her own bags and accessories 10 years ago. She now uses her store as a creative space that brings together the work of independent designers with art and printed matter. How did your interest in art or fashion begin? My creative interest was always there, not specifically in art or fashion because I didn’t grow up in those surroundings, but since my adolescence I’ve had an attraction to everything creative. Can you tell us how your store began? I think these things gestate for years without fully materializing. When you live so many years in one place, you constantly think about what you would like to have or find in that place. I had been wanting to open a shop / studio for my brand and projects; a meeting place. The birth of my daughter gave me the push. We found the space and it worked out. So, I decided to create a more open space, bringing products from other parts of the world. If you had to explain your work or brand to a stranger, what would you say? I studied interior design, I’ve designed handbags and accessories for over 10 years and now I own a store where I link fashion and art. I curate the products and designers that I have for sale, while always trying to keep the space active. What are your thoughts on the fashion world in Barcelona? With design in general, Barcelona has good schools and professionals, however, there’s not a lot of money or space for independent projects. How do you curate what you sell in your store? Do you work with local designers? I combine fashion from independent designers and experimental and/or new projects together with magazines and books on art, fashion and decoration. I select established brands from different parts of the world and others that are just starting out. The materials with which they are working are very important to me, and so is where their collections are produced. In the store there’s a small section where, together with Mike Swaney, we select books and magazines on Outsider Art. Last spring we also hosted A GIFC (Got It For Cheap) in our space, where Mike curated the selection for the Barcelona edition. Twice a year I invite either an artist or a designer to do some sort of installation in the shop window. Views of the sea. I was born in the Mediterranean, and more and more I like to spend time near it. Vacations must be accompanied by sea / ocean. Without swimming there is no summer. What’s it like living and working in Barcelona? Barcelona is a relatively small city where people from many places circulate. There are people who are just passing through and those who stay a long or short period of time. That makes it constantly change. In my case, I lead a relaxed lifestyle which adapts to those changes. Fashion designers like Lemaire, Eckhaus Latta, Margiela … some of my favorites are in the store like Baserange or Pari Desai. I like many artists like Karla Black, Helen Frankenthaler and Georgia O’Keeffe. Right now I’m listening to Rosalia, a signer from Barcelona. One of the best is when someone comes from far away and tells me that they have specifically come to the store because they consider it a must-do in Barcelona.